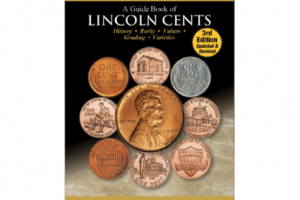 Whitman Publishing has released an updated and revised third edition of its best-selling Guide Book of Lincoln Cents. It continues in the popular tradition of the Guide Book of Morgan Silver Dollars and other Bowers Series numismatic guides, which number more than two dozen volumes. The 320-page full-color book is available now, in January 2019, online and from booksellers nationwide for $19.95. 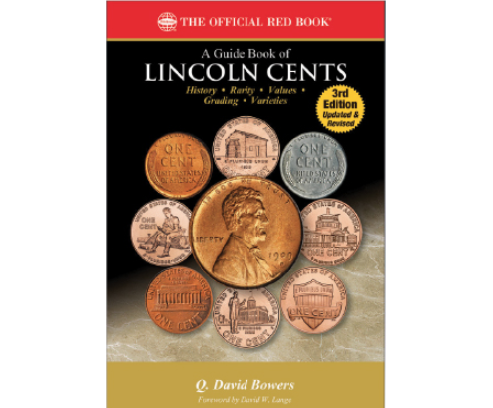 he new edition includes a thorough market analysis for each date and mintmark of Lincoln cent produced through 2018, in up to nine circulated and Mint State grades, plus Proofs. It features hundreds of photographs, and insight on error coins, patterns, related tokens and medals, and proposed Bicentennial designs. Read more at Coin Update News.